The biggest play on Thursday night when Maccabi FOX Tel Aviv outlasted Olympiacos Piraeus 65-64 for an important home win was Scottie Wilbekin's short baseline jumper to give his team the lead with 4.4 seconds remaining. But if you re-watch the play, or ask Wilbekin about it, you'll quickly notice the work in the paint that Tarik Black did to make that happen. "I was going to shoot it and T.B. did a good job sealing his man and getting me an open lane," Wilbekin said. "And it just went in." Black was the center of it all for Maccabi en route to a EuroLeague personal best of 19 points on 7-of-9 shooting plus 7 rebounds. He starred with 10 points and grabbed 3 rebounds over the game's final 7 minutes, a span during which his counterpart, Olympiacos star Nikola Milutinov, did not score at all. In fact, Milutinov was limited to just 9 points all game thanks to the tremendous defense of Black and Alex Tyus. "This game definitely came down to who wanted it more, and we put in a battle," Black explained. "We stayed with the strategy, stayed calm and came out with a win." Black's "battle" almost cost him. With 2 minutes remaining in the third quarter, he grabbed the rebound on defense, went down to the other end, took a pass from Jake Cohen and scored over Milutinov to tie the game at 41-41. He immediately turned to the nearest referee and shouted something while making the "and one" signal with his shooting hand. The result was a technical foul – his third personal – and a seat on the bench. While that could have swung the momentum, Black's passion revved up the fans and when Maccabi scored twice to lead by 3 at the end of the quarter, Menorah Mivtachim Arena was rocking. 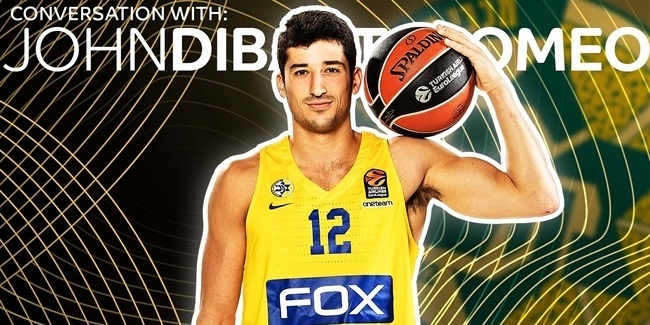 He continued to display that energy when he came back in with an alley-oop slam and another dunk among his fourth-quarter tally, which put Maccabi in position to win it. "He had a great game and I very happy about how he performed," Coach Ioannis Sfairopoulos said about Black. "It has not only been this game - lately, he is very focused and I want him to continue like that. He is a big part of us, defensively and offensively, and I am happy with how he is participating. Hopefully, he will play even better, because I believe he can play better." 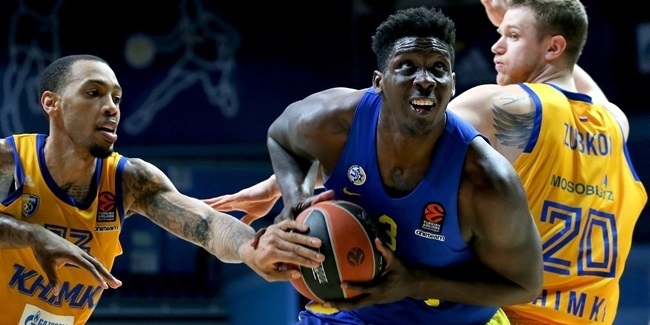 If that's true and Black gets even better, then other centers in the Turkish Airlines EuroLeague had better watch out!